Corals play a crucial role in the health of marine ecosystems. In 2018 we started our Underwater Time Lapse project on the Gili Islands. To be more specific on a dive site called Meno Slope. The goal of the project is to record any changes by making a time-series of images of the same corals. We record the temperature and the salinity with every photo taken, so we are able to track how the change of temperature affect our coral samples. When you are a child you often meet your parents friends or family members that haven’t seen you for a few months and they make the comment “you’re growing up so fast!” or something similar as the changes in your growth and development are so prudent that they are in disbelief, but that same person hasn’t noticed Spring turning to Summer and Summer turning to fall as it has happened gradually around them in their everyday life. Now imagine a diver who is visiting their favorite dive site for the first time in a year, just like your parents friends or family members did when you were growing up. Divers from all over the world are noticing sudden changes to the reefs that they love. As our research team consistently dives within the Gili Matra Marine Recreation Reserve, changes may be happening around us gradually without us noticing. Much like the change from one season to the next. This is why we needed to come up with a method that will allow us to accurately document any distinctive changes to help us to assess the health of the reef within the area. Scientists estimate that the ancestors of today’s coral reef ecosystems were formed around 240 million years ago and after millions of years of evolution and hundreds of thousands of years of growth, coral reefs were formed containing the most diverse and important eco-system on Earth. Different species of corals grow at different rates and under very specific environmental conditions making it extremely difficult to accurately estimate the exact growth rate of a coral reef. However it is estimated that slower growing coral species grow at a rate of between 0.2 to 1 inch per year and faster growing coral species can grow up to 8 inches per year. 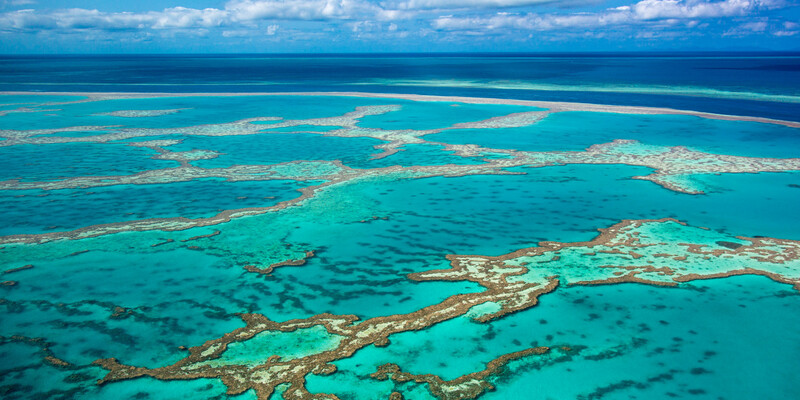 If you can imagine that the Great Barrier Reef is 348,700 kilometers squared (about 70 million football fields) in size then you can really appreciate the amount of time it took to form. 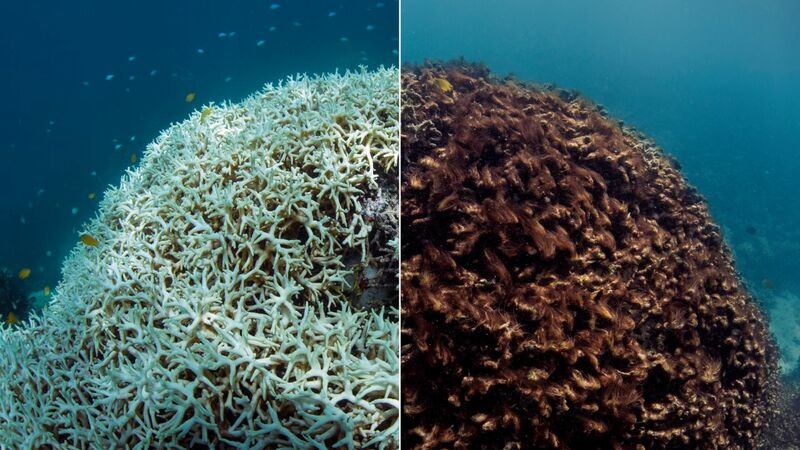 Due to climate change and local pressures in fishing demands and coastal development over the last decade, coral reefs have been affected on an international scale and at an alarming rate. After millions of years of development this fragile ecosystem is at serious risk of decline. In 2017 the production company “Exposure Labs” released an award winning documentary film “Casing Coral”. The movie documents scientists and photographers on their expedition to discover what is causing the coral to disappear and share to the world the significance in the speed of its decline. The researchers used a specific method of data collection which proved to be a very effective way to document the changes happening around them. 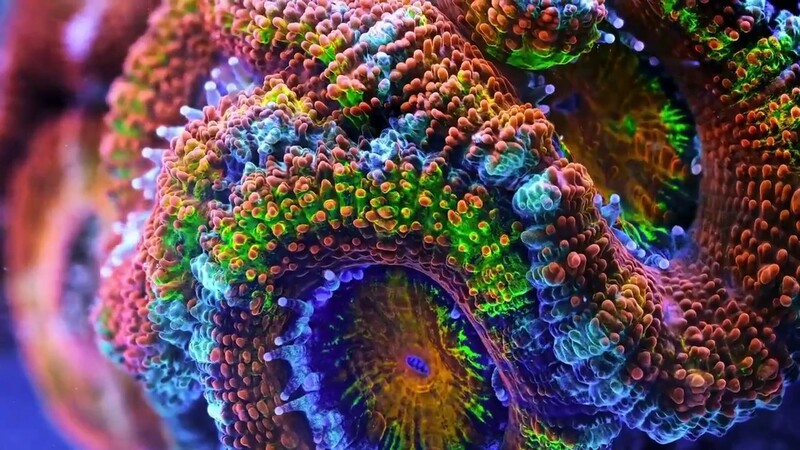 They took time lapses of the same specific corals everyday for many months and watched the changes occurring before their eyes, the results were shocking. Our research team hosted the premier of this movie in Gili Air on the day of its release and we were instantly inspired. At the start of 2018 we adopted the time lapse method as an experiment to see what changes, if any we could find. Every Friday on the way to our adopted dive site “Meno Slope” we stop to take our time lapse images. We have a marked GPS location just outside the dive site where we have chosen specific samples of different corals. Every week we visit the same coral samples and take a picture of the exact same angle of the chosen corals. We take images of four samples: two hard corals, one soft coral, and one rubble. When we return to the office in the afternoon we input the photographs into our time lapse data set where we can easily compare each picture from one week to the next. This allows us to easily identify any changes in these corals and document our findings accordingly. The wonderful thing about this method is that it allows us to acknowledge changes as they are happening, giving us the chance to explore possible explanations to what is causing those changes and therefore actively find solutions .